60 boats confirmed for this 2014 edition of the A-Class NAs. Nice work from the US Class and glad to see Gunboat supporting small cats events, this will bring even more exposure to the Class. "A-Class catamarans a class for all ages With only 2 days to go until the first race of the ISAF A-Class North American championships the boats are gearing up and getting ready for some great sailing in North Carolina. 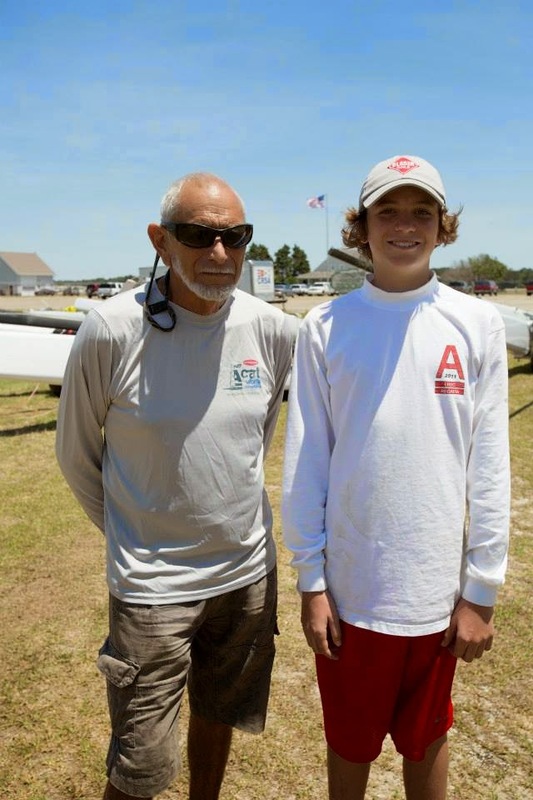 Out on the water today were both the youngest Galt Oliver (14 years old) from Virginia and the oldest competitor Gordon Isco (79 years old) from Florida. Galt has been allowed entry to the regatta with a cut down rig and re-sized sail, and is very excited about his first major regatta. However Gordon has been racing catamarans for over 40 years and claims there are still a lot more years to come."